The MBC enjoyed another event today, this time centred around the kitchen. 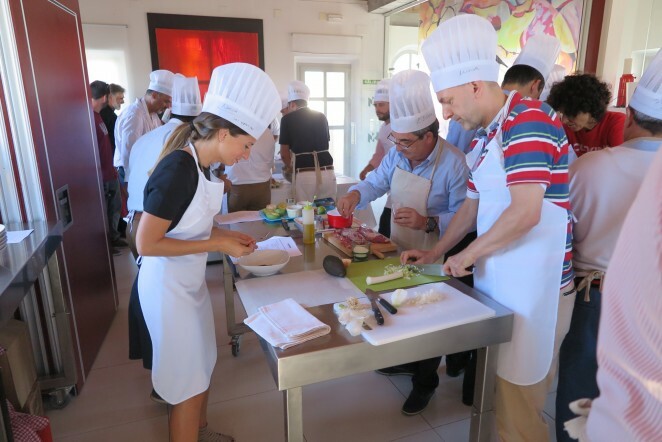 The companies within the Málaga Business Club met at Palacete de La Virreina to undergo the cookery activity, establishing synergies and trying out a new experience. During the cookery workshop, the businesspeople within the Malaguista family prepared and tasted their own dishes within an atmosphere of cordiality. They were divided into groups to make four recipes. The guests worked as a team and their dishes were scored before tasting them. A thoroughly enjoyable gastronomic experience in the kitchen.